From Funko. When you play the game of thrones, you win or you die. Who will be left sitting on the Iron Throne when season 8 has concluded? 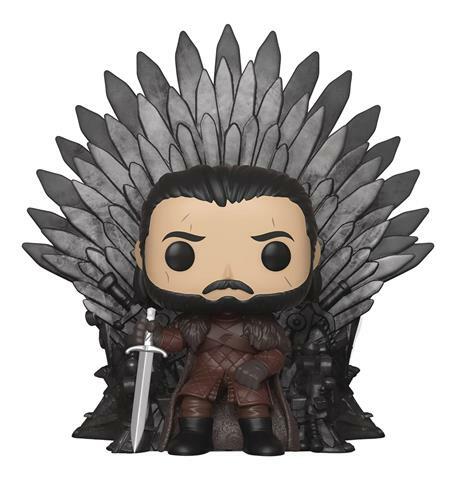 There are several possible contenders including the Night King and first of the White Walkers, and now Tyrion Lannister gets a turn on the highly-coveted Iron Throne in a Pop! Deluxe figure! Each standard sized Pop! figure stands about 4' tall and comes in a window box for display.